Tsholo Matshaba Remebers Her Husband Chris A Year After His Passing. The death of a spouse can never be easy. Tsholo is still mourning here husband Chris Matshaba who passed away in 2018. The two were married for only three years before death do them part. A year ago on this day, my life was turned upside down. Our Lord called my best friend home. My best friend, my companion,my husband, our Father called you home. A year later, it still cuts and burns like a hot rod. Never did I think we would go through "til death do us part" only 3 years into our marriage. 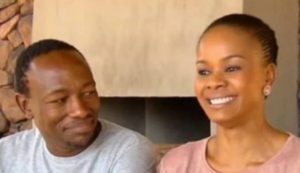 The post Tsholo Matshaba Remebers Her Husband Chris A Year After His Passing appeared first on Youth Village.